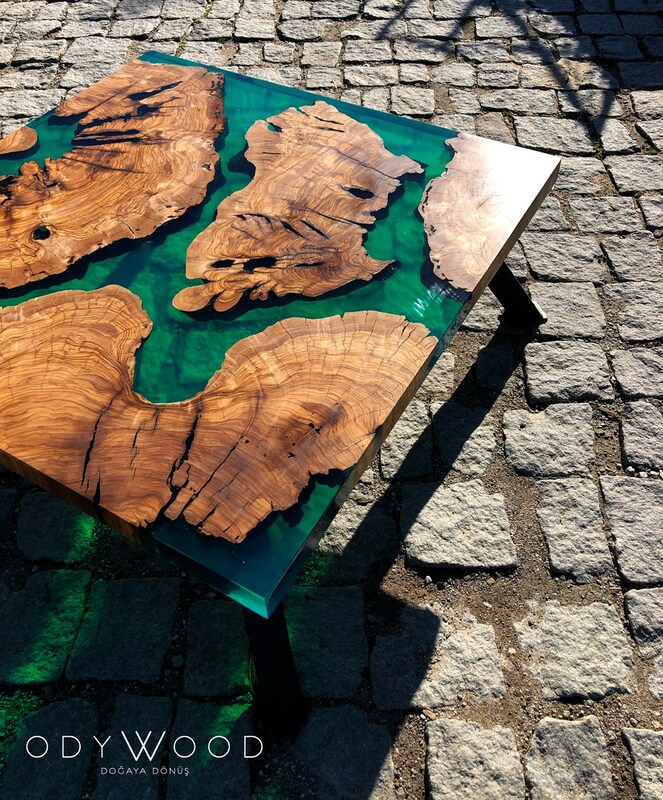 Stonz, the elegant and flamboyant epoxy resin coffee table. 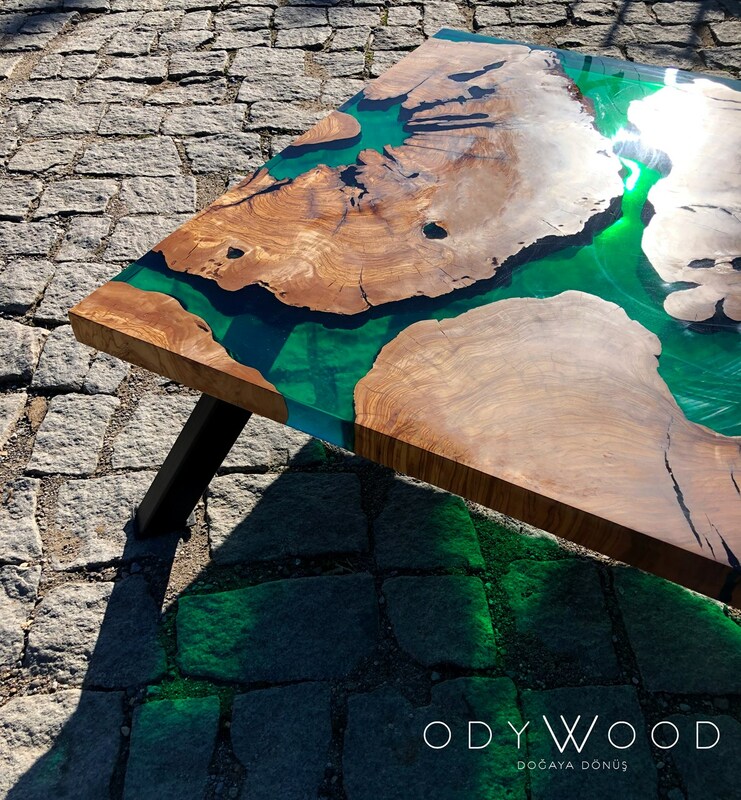 Our new design with the perfect harmony of the emerald green epoxy and the olive wood with mustard color. 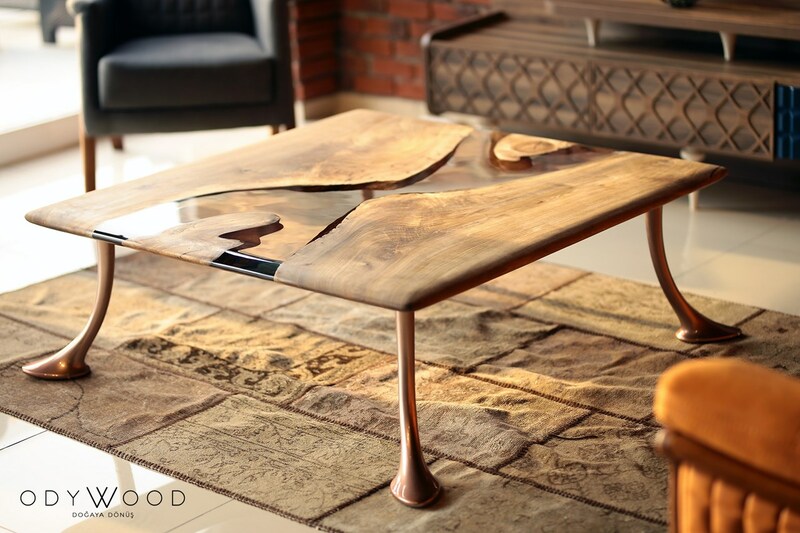 Wood options to be used in the model, layouts, foot models and all the other details are presented to you during production process. 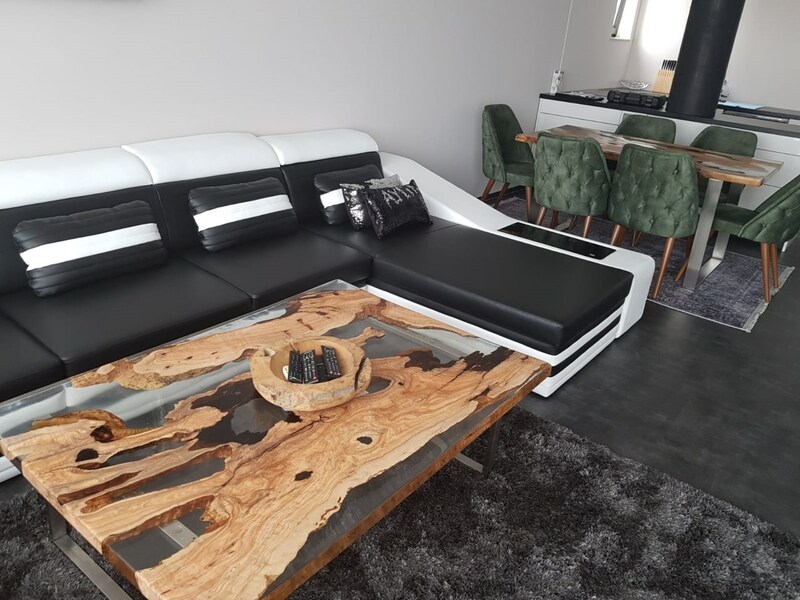 Design of the product will be created from the alternatives you approved. Epoksi Kütük Sehpa - Zeytin Ağacı Altın sarısı rengi ve eşsiz dokusu ile evlerin havasını değiştiren zeytin ağacını epoksi döküm ile fantastik bir görsel ile birleştiriyoruz ve adından çokça söz ettirecek kütük sehpa modelini sizler için üretiyoruz. 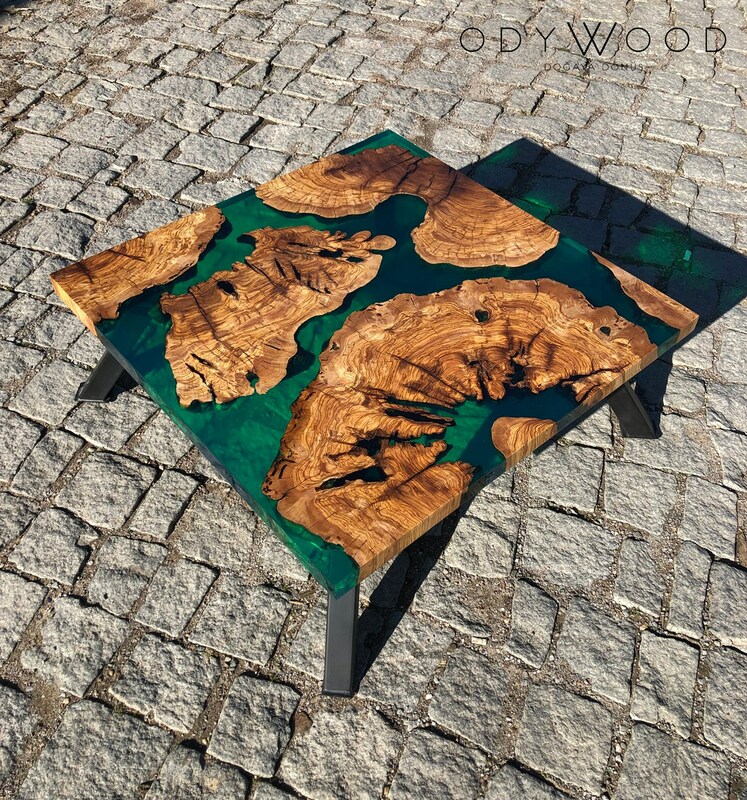 Epoxy Olive Wood Log Coffee Table No 2 The "gold and holy" one among all tree species, olive tree, enhances its immortal glory with epoxy resin in this TV stand. Mirro Ceviz Kütük Epoksi Orta Sehpa Bir biri ile uyum sağlayan, özenle seçtiğimiz ceviz ağaçları ile sipariş üzerine ürettiğimiz epoksi orta sehpa. 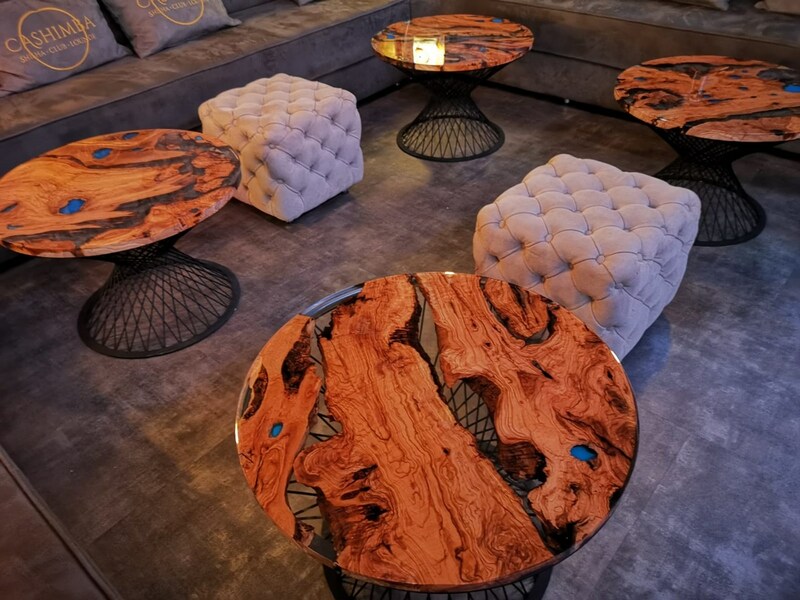 Paris - Round Resin Olive Wood Coffee Table Resin coffee table made from carefully selected olive woods, creates fantastic and arty styles in space and home decoration. 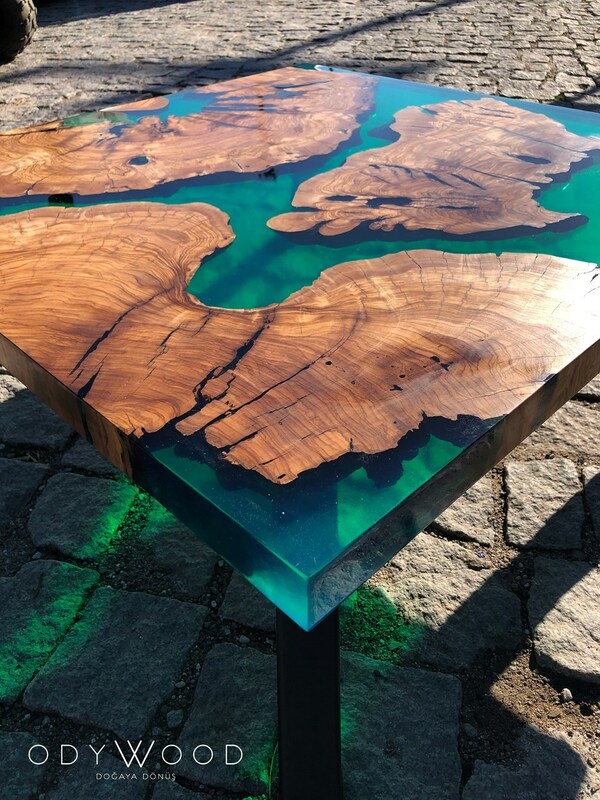 The standard epoxy resin tables are 70 cm in diameter and can be produced in custom sizes. Different leg model alternatives are available. We use wire legs in our standard production. 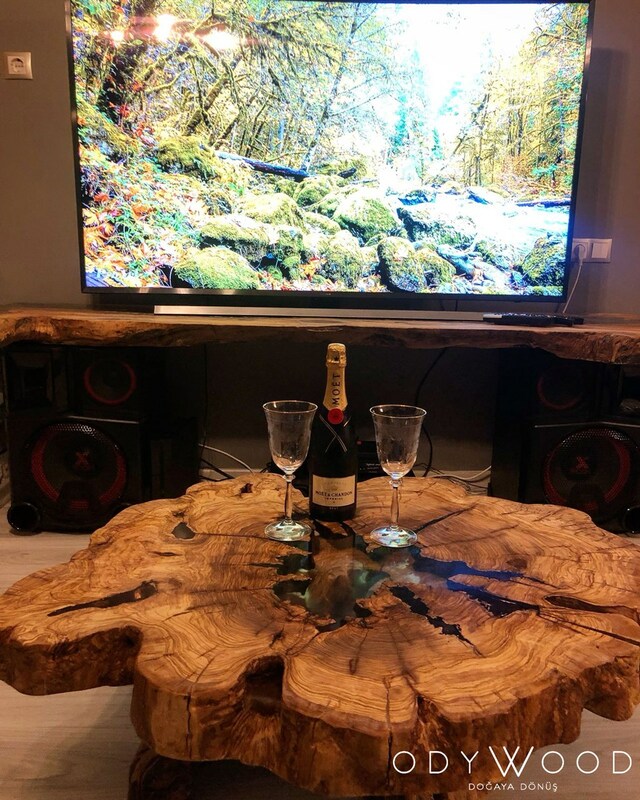 Stonz Resin Tv Stand Stonz, the elegant and flamboyant epoxy resin TV stand. 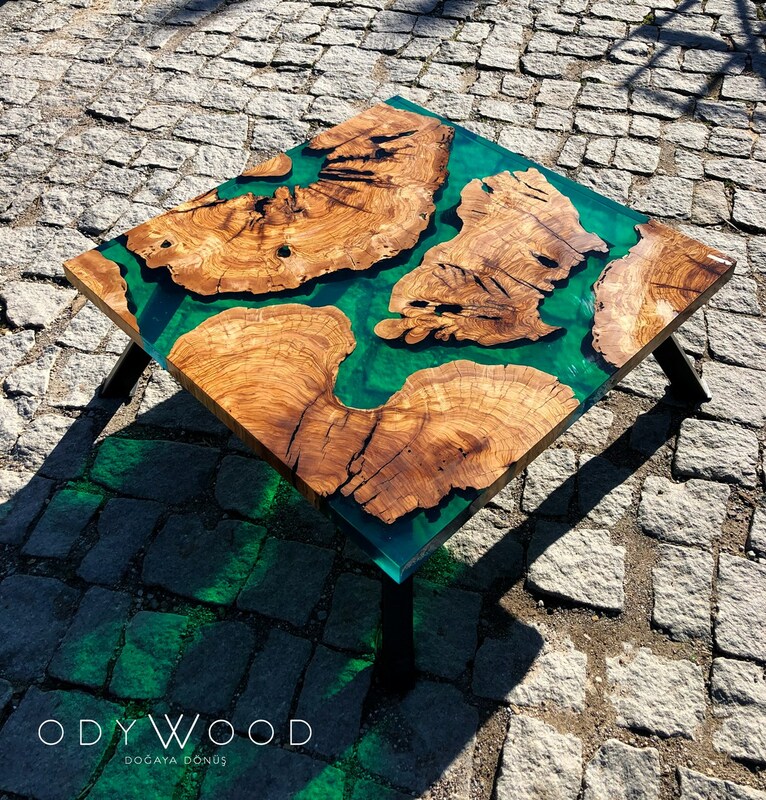 Our new design with the perfect harmony of the emerald green resin and the wood tree mustard color. 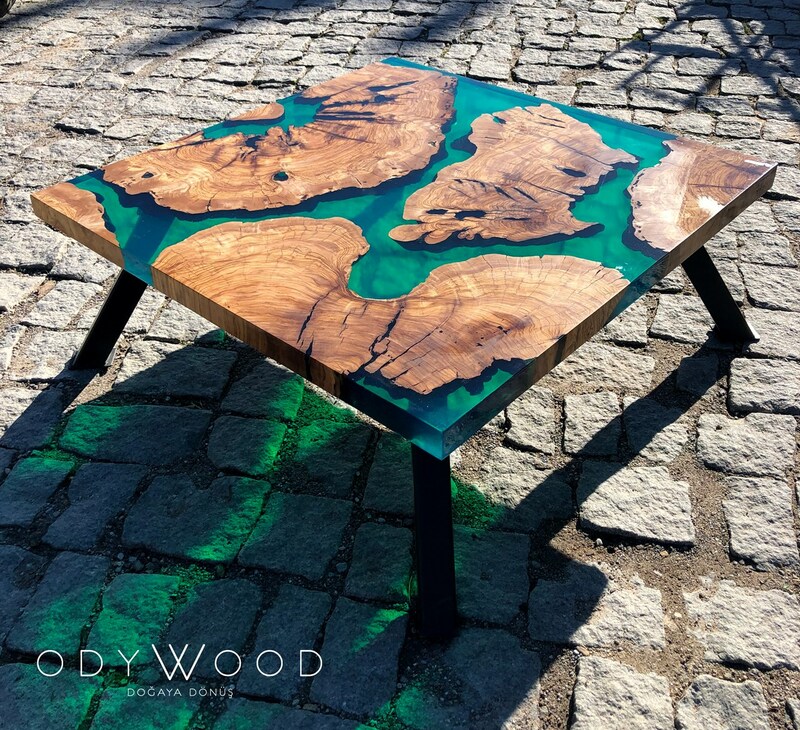 Resin designs are made-to-order.